We understand seeking help may be difficult. Remember you are not alone, & your feelings are valid. Asking for help is a sign of strength. Explore a variety of resources below, here to support you. Expert information & resources to help teens & young adults navigate life's challenges. Taking a mental health screening is one of the quickest and easiest ways to determine whether you are experiencing symptoms of a mental health condition. Mental health conditions, such as depression or anxiety, are real, common, & treatable. And recovery is possible. 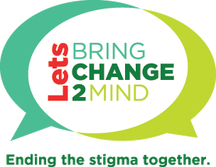 Resources brought to you by BC2M to help answer questions, direct you to support groups, or find treatment. Resources for youth, provided by the HEARD Alliance. Explore useful websites, apps, media, books, and hotlines by topic.